Camping somewhere outdoors with your college mates or family members would always be an outstanding experience. It brings out your inner delight and relaxes your mind by making you forget your problems. At the same time, the decision for a problem after refreshment would make you take accurate decisions to solve that problem. Camping somewhere distant from your home requires a proper examination of the checklist before you leave. Even though you pack well, you would have faced many practical difficulties by leaving back some stuff. So, it is crucial to have a friendly chat with an experienced camping person to know about the useful items before you leave for camping. Usually, this issue occurs with the kitchen items, and when you have completed half of your work, then you would remember about the stuff which you forgot to bring and feel bad. You have to find a replacement to do your task, and that would end up messy. 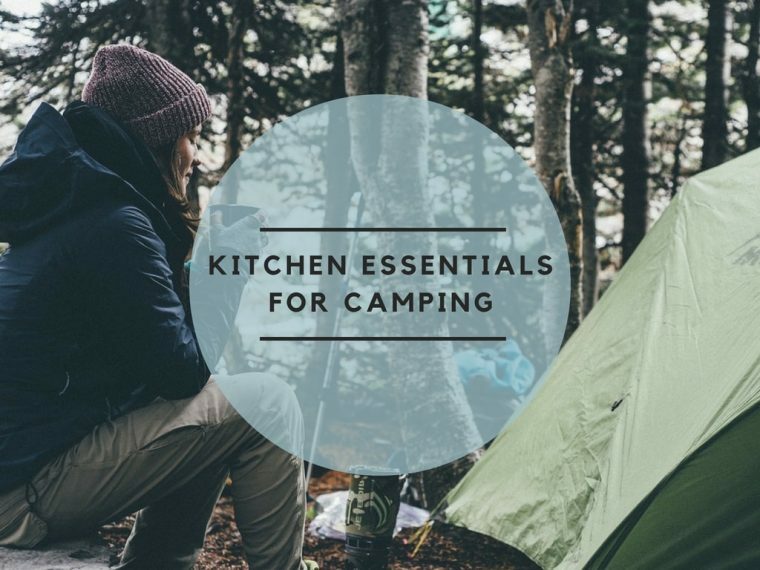 Here are some kitchen essentials which are very much required for a campsite which would help you in great measure. ​Camping stoves gain primary importance over any other item for camping because without them eating would be almost impossible and without food, no one would like to enjoy the situation. Camping stoves are broadly classified into pressurized and non-pressurized stoves. Both of them would be fine for a picnic or a camp but, the most important issue is the fuel. The stove which can last for long hours with minimum fuel would always be the best choice. Moreover, the safety mechanisms in the stove should also be acceptable. Storage boxes store the uncooked food items, and it can also be used to store cooked food. While camping, it is always better to reduce the amount of weight you carry which is also a way to boost up your energy and enthusiasm. Storage boxes may be various types which include plastic bags, glass containers, and plastic containers. Plastic bags can store food but, due to its flexible nature it can spill the food. Glass container has an air locking lid to keep your food fresh, but they are vulnerable to rough handling. But plastic containers with the airtight lid would be a weightless article to store food comparing to the other two options. ​Even though you prepare delicious food in your campsite, it would not give the pleasure of sipping coffee on a winter evening with your family members sitting around a fire pit. It has a heavenly taste and passion which soothes your mind and liberates you from the clutches of the problems you face. To make a strong and aromatic coffee, you need not only quality coffee beans but also a coffee maker. Make sure that you don’t forget your coffee maker before leaving to your campsite and also take a bigger sized coffee maker depending on the size of your family. Wheeled coolers are simply ice boxes with wheels to keep your drinks chilled, and it would be beneficial to fight the sun on the beach or some hot campsites at noon time. These coolers act as a temperature barrier and don’t allow the external hot temperature to get inside it. Temporary coolers are made up of Styrofoam, and the durable coolers are made up of plastic. Thermoelectric coolers are also available which can also be used as a cooler or a heating box which can be used to keep your food hot and steaming. Even though wash bowls seem to be unworthy to take place in this list, in reality, they are handy kitchen accessories. What would you do to wash your vegetables and other items before cooking in a campsite? You can’t rely on any item which you get from nature as it may contain microorganisms. This state of apprehension would make you realize the importance of a wash bowl when you leave for camping. Cookware includes plates, utensils, cups, bottle openers, aluminum foil, barbeque, etc. No one would have gone for camping without these items as they play the crucial role in the entire event of camping. Whenever you pick camping cookware, try to choose small or average sized cookware as they would provide easy portability and also they would be less heavy to carry. But make sure whether you can provide enough food to all your family members. Water available from a natural water body in a campsite may contain protozoan, bacteria, viruses, and other decaying organic matter which may cause water-borne diseases, cholera, vomiting, allergies, etc. So, it is essential to bring enough water to the campsite for all purposes, especially for cooking. Boil the water before using it to ensure food safety. Filters and chemicals like iodine can also be used for filtering water. ​Even though we can make fire out of friction from the dry wood we cannot rely on that method to ignite your kitchen stoves. So, make sure you always have some matchboxes kept secured in a dry place as it would not produce any spark after getting drenched. Flints can also be used to make fire, but that too seems to be odd. So, it is always better to have matchboxes and lighters. Barbecue is the method of traditional food preparation used to cook food by grilling and smoking. It is mostly used for grilling meat, and that barbecued meat would be delicious. Without barbecue type of cooking, camping would not be fascinating, and it would be same as having dinner at home. Moreover, charcoal is the raw material needed for a barbecue which should be brought the inadequate amount to enjoy your camp. Cookies can also be prepared using barbecue technique. Also, don’t forget to bring out the best camping table to enjoy the meal with your buddies. Campers might think that in an unusual place trash bags don’t play a much important role while camping. But, the role of the trash bag at the campsite is not to collect your wastes but to prevent you from the attack of the scavengers. After having your food, it is essential to put the remnants of the food inside a bag and spray enough bleaching agent that would dominate the odor of the food thus keeping you away from the scavengers.